It is with heavy hearts the family of Bert Elliott announce his passing at the age of 89 years. Bert is survived by his loving wife of 67 years, Rita, his children; Terry Elliott, Maxine (Rick) Brannen and Carla Bailes, his grandchildren, Trina, Rayanne, Brennan, Rosalie, Amber and Ashley, his 11 great grandchildren. He was predeceased by his daughter Laureen and his son-in-law Chad, as well as 2 sisters, two brothers. Both his sisters died in highway accidents and very close to the same location. His siblings were lost at very young ages except Cecil. Bert was a very quiet man, that didn’t share the tragedies that he had suffered. Bert was born in Ontario and jumped the train riding in boxcars out to Saskatchewan to farm on a thrashing crew, at the age 17 years. This is where he met Rita and after a four-year long-distance courtship they married and moved back to Ontario for a number of years. There Bert did numerous jobs, including building the Saint Lawrence Seaway. This job included moving houses out of the flood zone. They started their family with the birth of Terry and Laureen and also farmed there, had farm animals and a maple tree forest where he made maple syrup. The family them moved to Saskatchewan and owned and operated several restaurants in Langenburg. This is where Carla and Maxine were born. They also started a water well drilling business. They then moved to Spy Hill purchasing the Hotel, Motel and Coffee Shop before moving to Alberta in 1977 to Manage the Blackfalds Motor Inn. After that Bert worked for different Oil Companies as well as renovating the Westward Inn in Calgary for two years. Both in Saskatchewan and Alberta Bert raced Pony Chariots. He had horses for years and got some of his friends racing in Blackfalds. Racing was a family event, race tracks, travel every weekend and especially socializing with the now extended families. 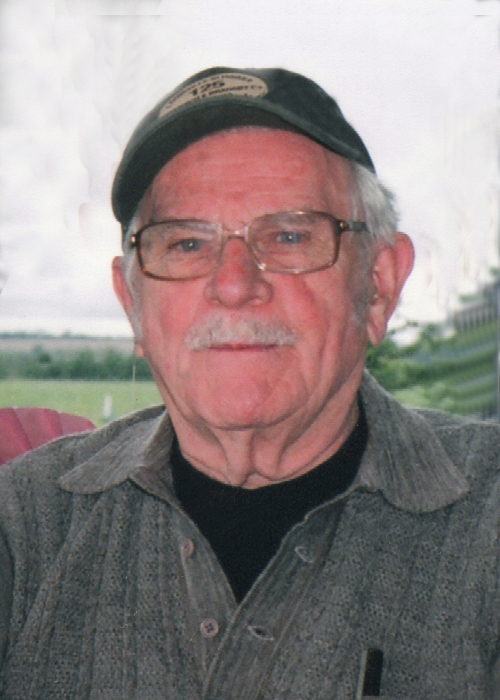 Bert was an avid fisherman, fishing both summers and winters. He and Rita had a permanent lot for many years at Wilson’s Beach on Gull Lake. There wasn’t much Bert liked better than taking the family out in his boat for a good day of fishing. Bert’s other great love was hunting. He hunted with dogs while in Ontario, which was legal there and had 6 or 7 hounds. He has some prized antlers from moose, deer, elk and antelope. Bert was also famous for his inventive ideas, usually using common house hold items for great things. Bert will be greatly missed by his family and friends and those who lives he touched. The family would like to thank the caregivers from both the Lacombe Seniors Lodge and the Lacombe Hospital for their care and kindness they have given to both Bert and Rita.